If you were a current Active Member as of February 1, 2007, your 2007 Board Election ballot was included with your Journal and must be returned (postmark date) by April 15, 2007. Results of the election will be announced at the Annual Meeting, May 25, 2007. The Board is pleased to announce the following well-qualified candidates. Two will be elected. At the January meeting, the Board welcomed Teri Einfeldt as a newly appointed Board member, effective January 1, 2007. Teri also accepted appointment as Chair-Elect for the term of August 1, 2007—July 31, 2009, and Christie Felsing accepted the post of Board Secretary for that same term of office. 2007 Membership Directories will be mailed in March to all Active Members. 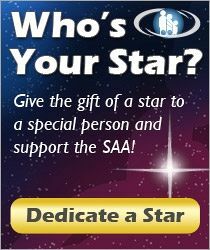 In addition to member listings, the Directory includes SAA Committee listings, donor acknowledgments, bylaws and minutes, and other useful organizational information. It is available to Associate members upon request for $10 US / $14 Canadian.